I am an Engineer by day, and a crafter on evening and weekends. Throughout my life, finding that balance between my need to do technical work and solve problems and my desire to create has been a near-constant struggle. My little sister, recognizing this strife, gave me a book that made me smile the minute I laid my eyes on it! 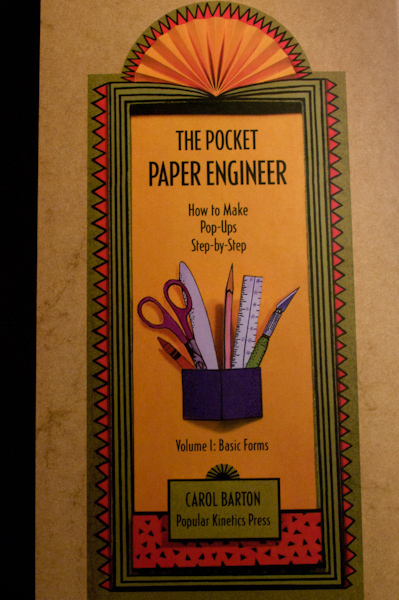 The book I’m talking about is The Pocket Paper Engineer – How to make Pop-Ups Step-by-Step by Carol Barton. 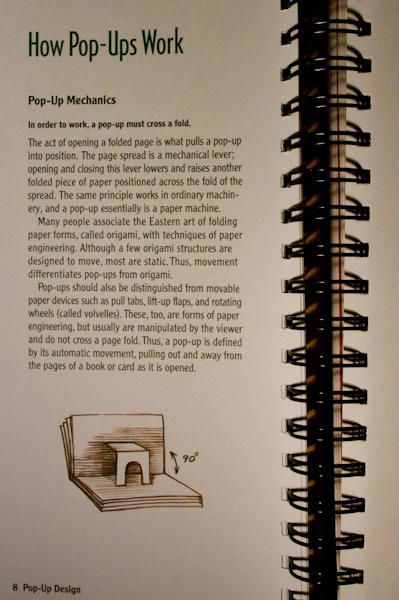 The book goes into the basics of how pop-up cards work, and what kinds of tools you need to make them. The best part is that included in each section of the book are several example cards that you can literally tear out and practice with (see photos below). The examples have a printed design on the front and clearly indicate on the back where to cut and fold! 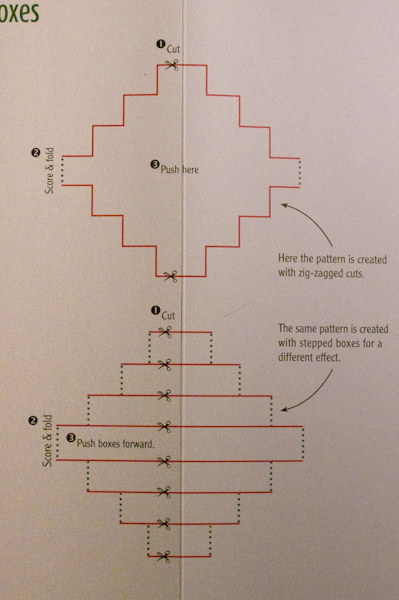 It’s a great way to get started with pop-up cards, and a highly recommended book if you think that creating pop-up cards is something you want to do. I only have Volume 1 of this book, but there is a second Volume that goes into some more advanced techniques. As with nearly any card making technique I come across, I try to figure out a way to do it on my Silhouette SD! 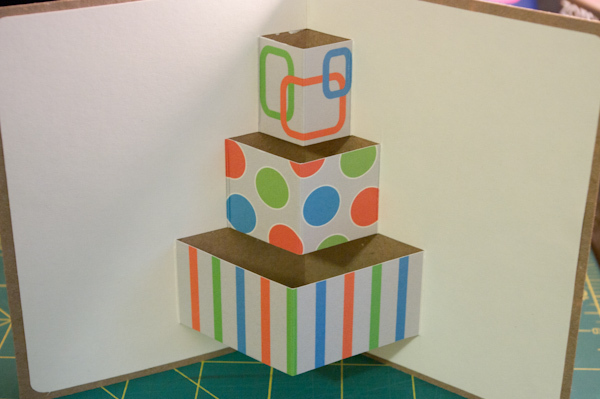 I thought that it would be fun to try out the shaped boxes technique to make a card that looks like a layer cake! 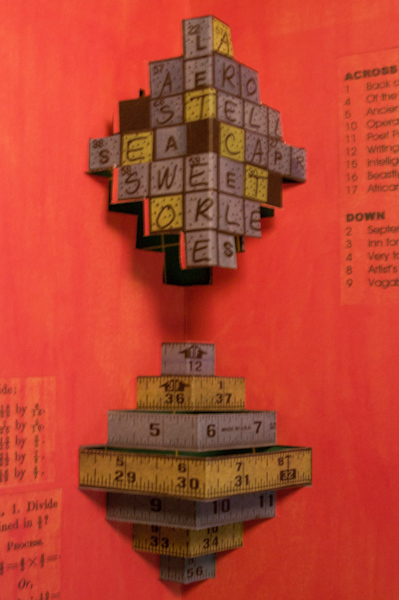 I cut the card using the Silhouette, but I ended up doing my scoring on my Score-it-All board (keep your eyes peeled for a post about this handy gadget next week). On my first try, I made a rather large cake, and learned that when making a pop-out card, you should not make the cuts longer than half the width of the card. If your cuts are too long, you’ll end up with little pieces of paper hanging out the end of your card. On my second try, I got it right! See, piece of cake!